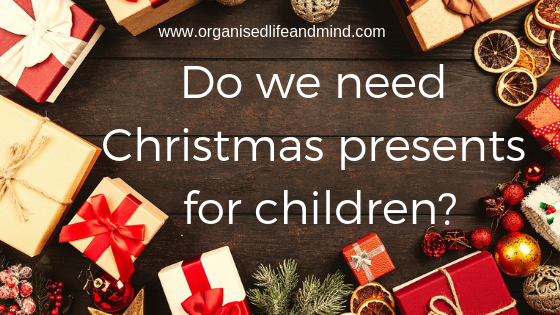 There seems to be an expectation from not just society, also from grandparents, aunts and uncles, kids themselves that children should receive prezzies. 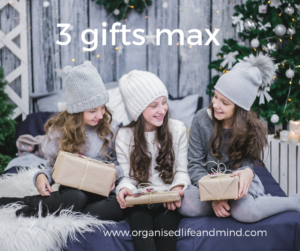 We’re gathered 3 alternative approaches to a Christmas gift overload and allowing you to celebrate the Christmas spirit. Be joyful, be kind, be charitable and generous. Follow the 4 Christmas gift challenge. The idea is to combine fun, necessity and education. It allows parents to manage within their budget. Parents can discuss with older children what’s financially feasible. I’ve seen it over and over again that some parents wanted to spoil their kids with expensive or tons of presents at Christmas (or the kid’s birthday). Some even took out loans to pay for the presents. It may be harder to have these conversations and potentially display vulnerability, yet, Christmas is not meant to go into debt. Parents can also help younger children writing their “Dear Santa” letter. They can guide their kids and limit their desires, preventing the little ones from being overwhelmed. The festive season should be a joyful season, not a season where everyone in the family gets stressed out. Reduce it to 3 gifts. 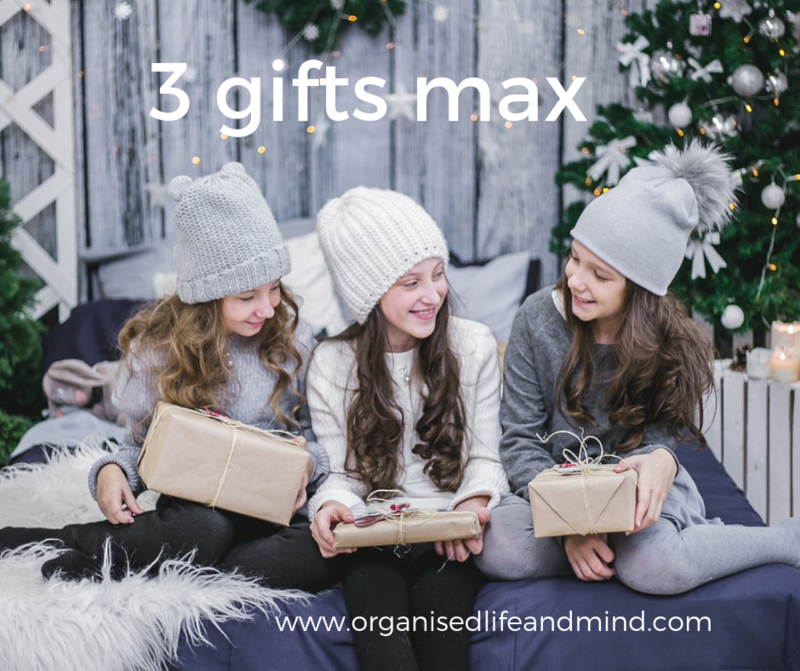 If you’ve tried the 4 Christmas gift challenge already or want to simplify gifting even more, reduce it to 3 gifts. This can be a mixture of want, need or experience gifts. As more and more families are embracing a stress-free Christmas, they’ve also cancelled the idea of giving presents. It saves money, time, energy and more importantly, sets a new family tradition. They value the time with each other more than the short-lived excitement of unwrapping a box. Mila Kunis shared that their rule of no gifts also reduces the expectations of just stuff. It was like an entitlement and if you think about little kids and entitlement, that just doesn’t go together. Now, this is a beautiful idea and teaches children the concept of giving back. Every day from 1 December until Christmas, put a donation into an advent calendar box. This can be food cans or non-cherish-able food items, clothes, toys, school items, toiletries, diapers and so on. Deliver this box to the local charity on or just before Christmas Day. Check with the charity what items they or the final recipient will need. You can modify this reserve advent by decluttering a well-kept toy, book, art material or piece of clothing every day and donating it on Christmas. Your kid learns to let go, help another child and make space in their room. 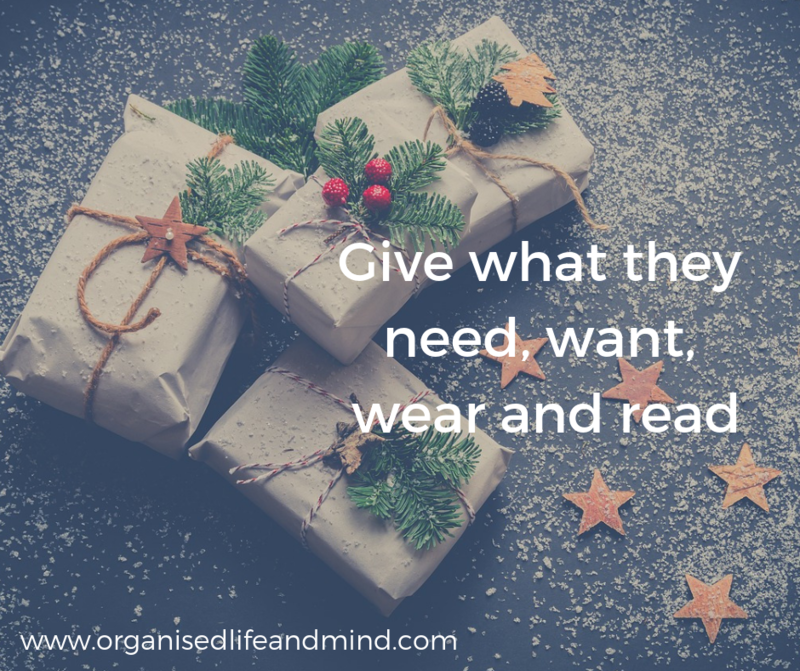 Whether it’s for a Christmas gift after all or to remove the distractions (aka stuff), your child can join your decluttering and organising journey. What are your Christmas gift rules in your family? Share you story! Can’t wait to read it.